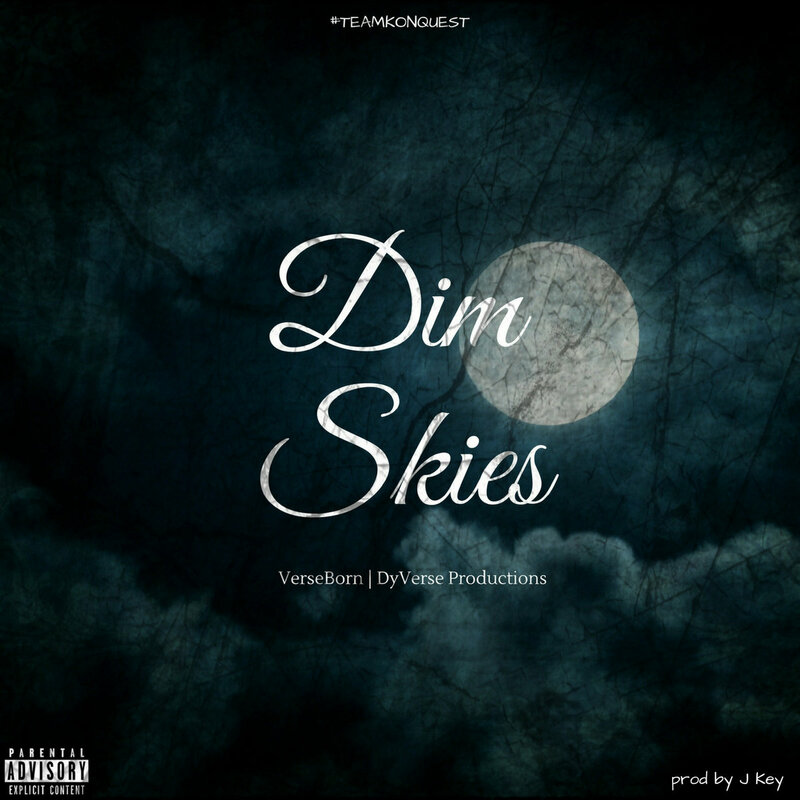 @VerseBorn links up with #DyverseProductions(@justinbarwick) and J. Keys to bring you "Dim Skies', a dark melodious freeverse crafted by the world renown @KonQuestNow lyricist. On "Dim Skies", @VerseBorn takes shots both at critics and those who consider themselves "competitors" within his lane. The buzz is steadily growing for the westcoast mc and many are beginning to notice his hard work ethic and musical capacity. "Dim Skies" is another release from the upcoming collaborative project with #DyverseProductions(@justinbarwick) scheduled to drop soon.